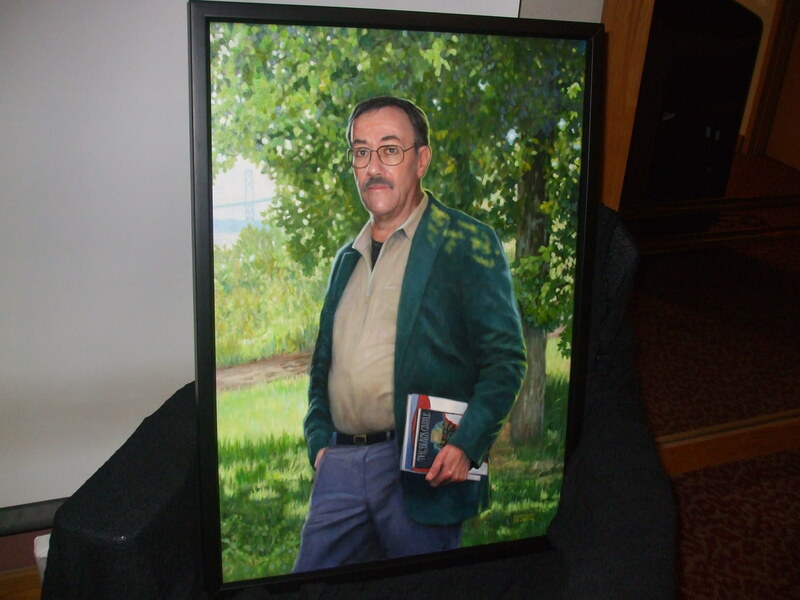 A portrait of the late Les Daniels done by Artist Cortney Skinner. Photo by Jason Harris. The Les Daniels Blog Tour by Matt Bechtel of Necon E-Books, which started at Brian Keene’s website last Thursday, continues today at the New England Horror Writers’ website. Bechtel’s entry today is titled, “Location! Location! Location! Les Daniels’ Place as an Icon of New England Horror.” He writes, “Above all else, it’s Les’ ties to New England horror that establish him as a legend in the community. After all, as I mentioned, the man lived most of his adult life on Benefit Street in Providence, literally blocks away from 135 Benefit Street, a.k.a. “The Shunned House” which helped inspire H.P. Lovecraft’s short story of the same name. His contributions to and influence upon the Necon Convention would take pages upon pages to list …” You can read the entire blog entry here. The entire blog tour schedule can be found here. Taking a page from Patty Cryan’s Blog. I will explain my involvement with the New England Horror Writers (NEHW). I have been a member of the NEHW over five years. It started with me putting together the organization’s newsletter every month. From newsletter editor, I became the Directory of Publicity, which is the position I held from October 2010 until April 2013. During this time, I was promoting the organization through numerous events from conventions to craft shows. Throughout that time, I continued putting together the newsletter, The Epitaph. The old NEHW website is archived on this site, Jason Harris Promotions. This archive includes the past newsletters as well.